Philippine Trade Training Center (PTTC), an attached agency of the Department of Trade and Industry (DTI), announced free training seminars on various food exports-related topics alongside the holding of International Food Exhibition Philippines (IFEX) organized by DTI's Center for International Trade Exposition and Missions (CITEM) on 19-21 May at the World Trade Center in Pasay City. Scheduled at the PTTC during the 3-day trade show are food export and investment seminars discussing topics on Health and Wellness Importance of Cacao, Cocoa, and Chocolates, 1st Organic Coconut Congress, Agribusiness Research and Development Forum and Market Entry Requirements. 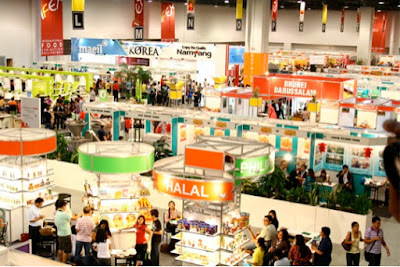 IFEX Philippines is the biggest international trade exhibition on ethnic and specialty food, tropical fruits, vegetables, seafood, beverage, bakery & confectionery products, meal & poultry, HALAL-certified products together with natural, organic, and healthy food products in the Philippines and Asia. This year’s edition will also feature ethnic ingredients and food from ASEAN member states through the TASTE ASEAN as part of the official programs under the ASEAN Committee on Business and Investment Promotion (ASEAN CBIP). The trade show is seen as a great opportunity for food companies, both local and international, to test new markets, launch new products and sell them to international buyers.